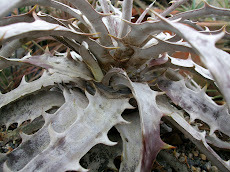 Hybrid making is quite like finding new species in wilderness...dreams are the same. 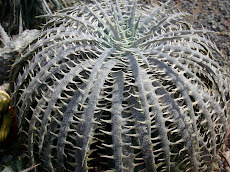 Seeds are magical, no doubt. 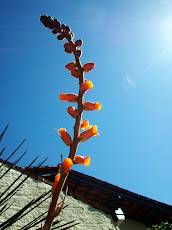 Some dreams are wrapped in them. 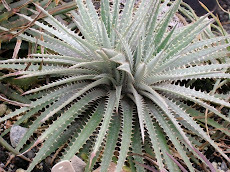 This plant here is weel too broken as it was recently collected and the place it lives is a steep rock face and extremely hard to be reached by normal mortal as me. 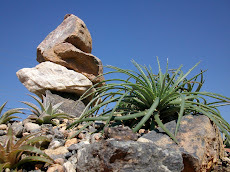 I am planing another visit as soon as the rains cease here. 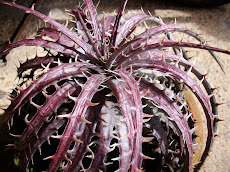 Notice the spines....they are unique here. 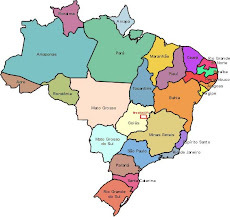 From up North Rio Grande do Sul uphills (São Marcos-RS), a giant blue ball! 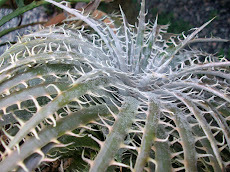 Dyckia incana a most recent desciption named it incana which means whitish. 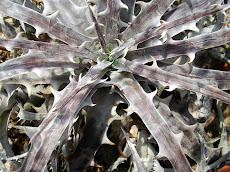 I think this is not whitish but sheer white but... botanics has a mind of its own. 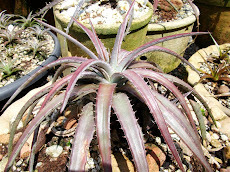 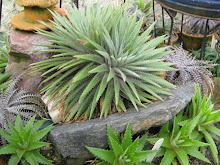 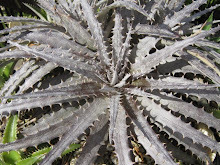 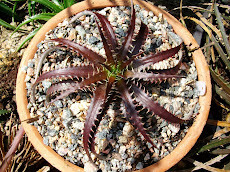 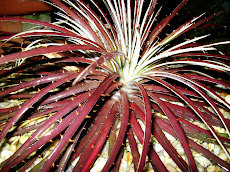 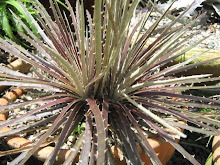 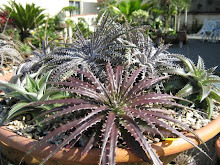 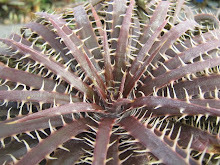 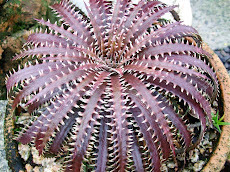 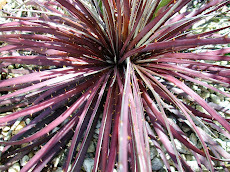 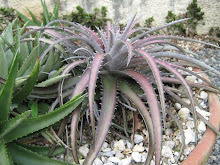 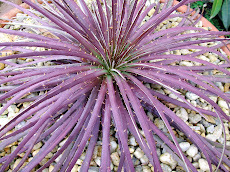 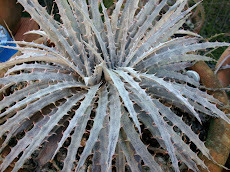 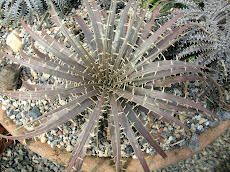 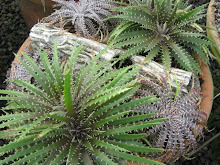 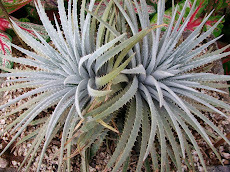 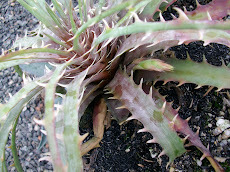 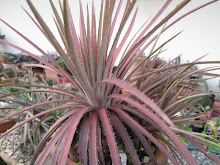 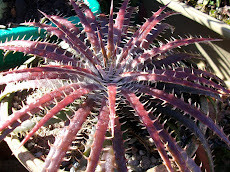 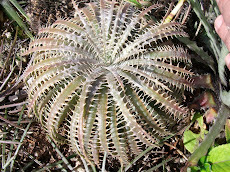 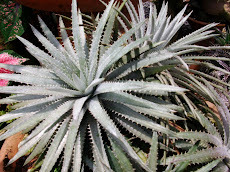 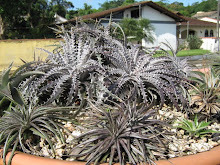 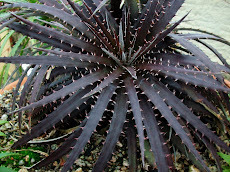 Dyckia delicata X Dyckia gloriosa, isn´t it beautiful? 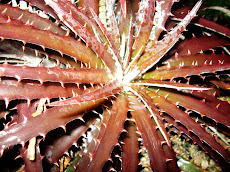 a new amazingly beautiful form. 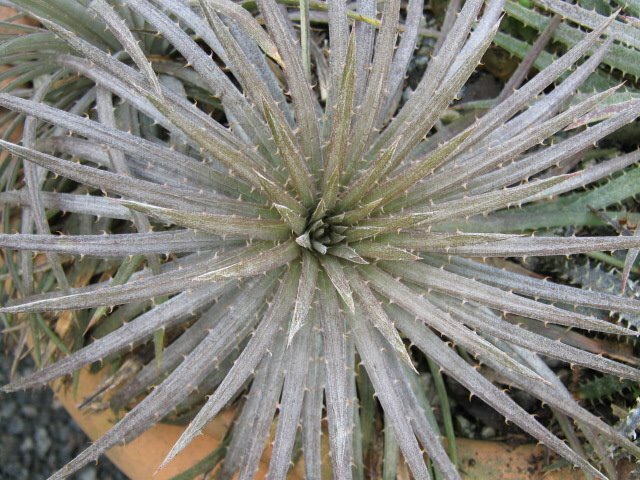 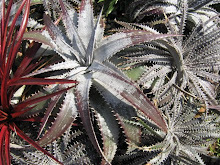 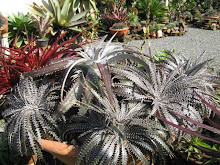 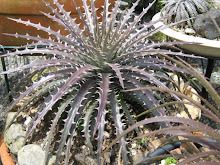 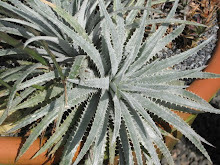 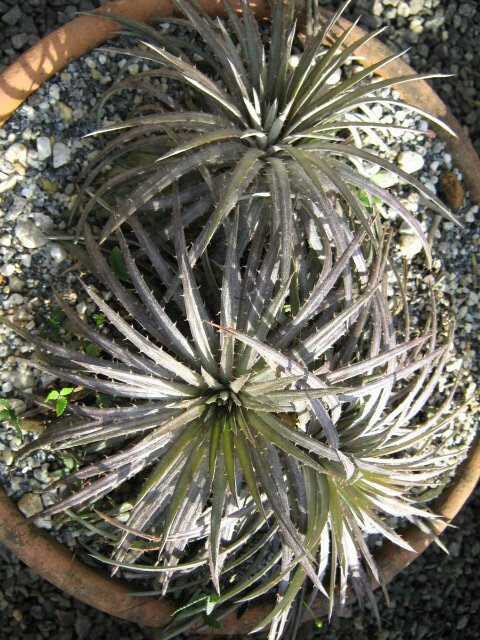 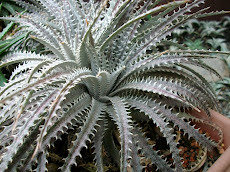 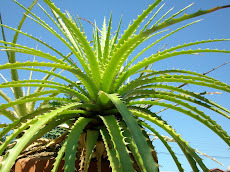 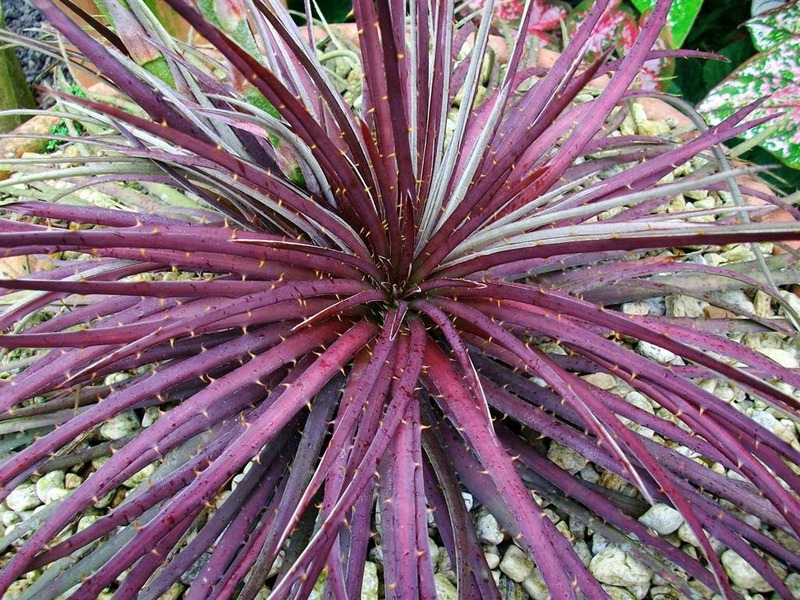 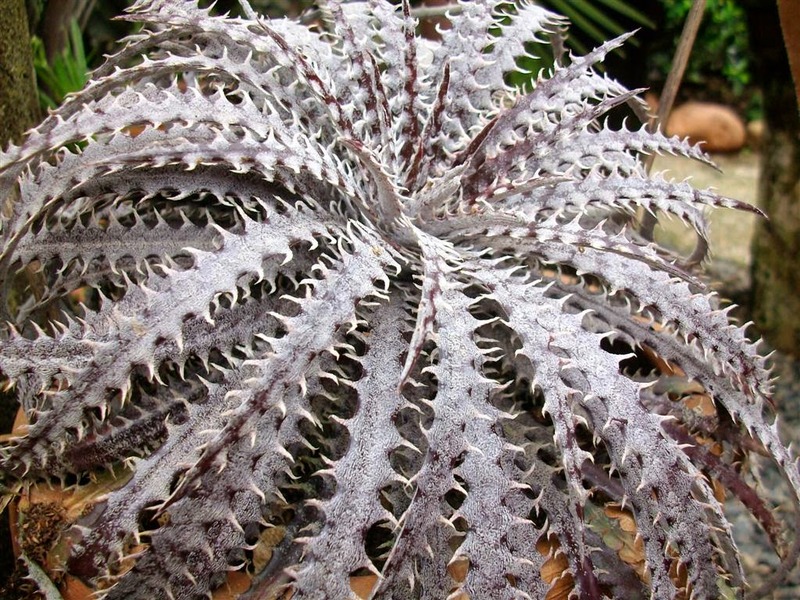 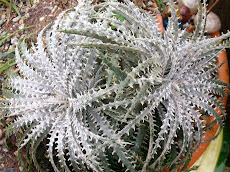 This magic beautiful dwarf species is now officially named Dyckia incana. 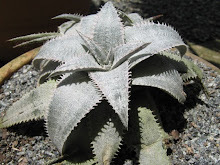 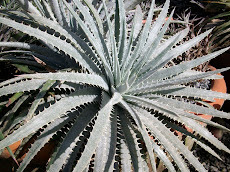 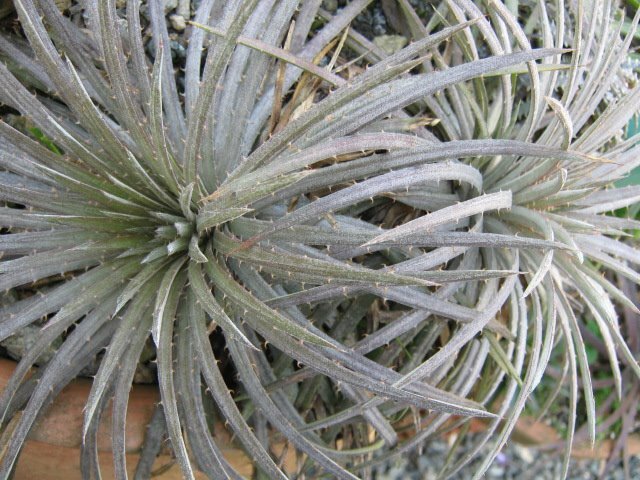 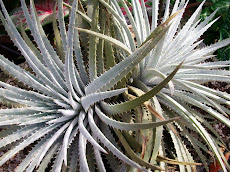 Incana is Latim for grizzled or grayish but the plant is deep pure white. 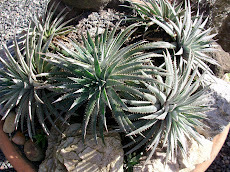 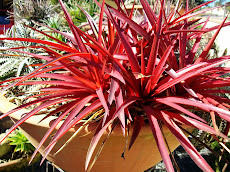 One more botanic jewel, we have plenty of those. 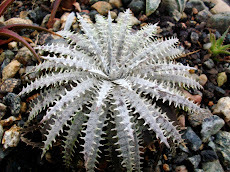 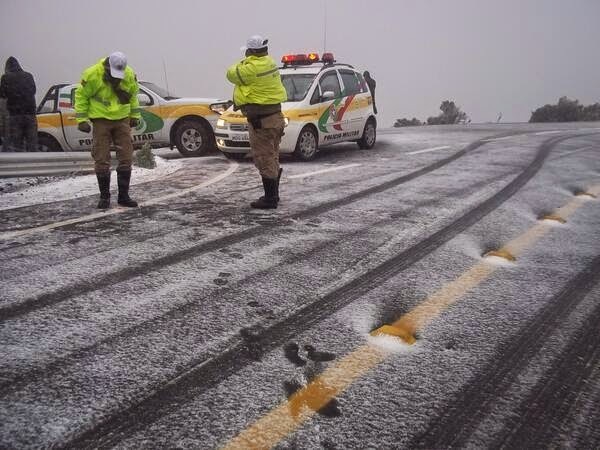 It stands cooler climates and bears soft spines.